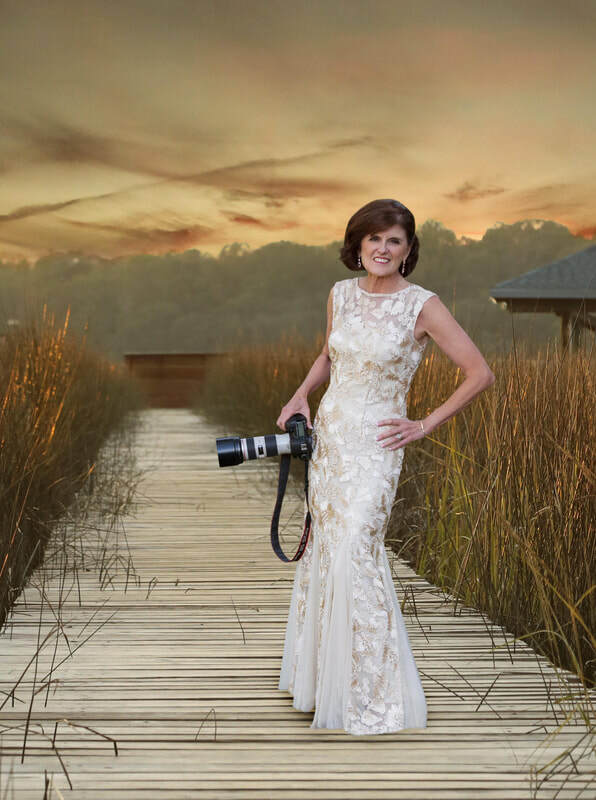 Mary Buck is a photographer of note in the Atlanta area, but there is much more to her influence. She not only creates art — she supports it with her efforts for the Duluth Fine Arts League, Duluth’s Fall Festival and by teaching photography. It seems only fitting that she take a turn at being appreciated through her latest exhibition titled “Painting with Pixels” at Duluth’s City Hall. The exhibition also includes work by David Gentry and will run through the month of September, 2016. In addition to the subject matter, Buck has explored photographic technique by becoming enamored with long exposure photography. Buck has made a career out of portrait photography, although she says, “I love to photograph just about everything.” She opened “Lightscapes Photographic Artwork” in Duluth in 2001. She discovered photography at 18. Buck has been inspired by a number of famous photographers over the course of her artistic journey. One of her favorites, Peter Turnley, figures prominently in some exciting upcoming plans. “I will be attending his workshop on Street Photography in Cuba this December,” she says. “Another photographer is Harold David who introduced me to the world of floral photography,” Buck says. Lastly, Buck admires Dorothea Lange, the famous Depression-era documentary photographer. Buck lost her husband Paul in a recent, tragic bicycle accident. Buck can be reached at her studio, Lightscapes Photographic Artwork located at 3883 Rogers Bridge Road, N.W. 201b in Duluth by calling 770-623-1040, or by visiting lightscapesphoto.com.